My latest for the Jamestown Foundation on the three on trial for conspiring with the 7/7 bombers. Interesting and slightly creepy trial that has gotten remarkably little broad coverage – of course the day after this was published someone else did something about it (i will reserve comment). Like any major terrorist event, the July 7, 2005 (7/7) bombings of London’s public transportation system that killed 52 commuters and four suicide bombers had the immediate result of generating a number of wide-ranging and speculative conspiracy theories. One of the early unanswered questions concerned the fact that the four bombers left behind at least one viable explosive device in their car at Luton train station, raising the question of whether there was a “fifth bomber” (Guardian, May 19, 2007). Numerous other leads and stories have led to all manner of speculation, but thus far only one very concrete element of conspiracy has shown up in the British legal system, in the form of the ongoing trial against Mohammed Shakil, 31; Sadeer Saleem, 27; and Waheed Ali, 24; all originally of Beeston in West Yorkshire, the hometown of the 7/7 team (Telegraph, April 6, 2007; BBC, April 10). Mohammed Shakil and Waheed Ali were seized as they prepared to board planes to Pakistan at Manchester airport on March 22, 2007. Sadeer Saleem was arrested at a house in Leeds later the same day. The three men are the first individuals to be prosecuted directly as a part of the 7/7 plot (BBC, March 22, 2007). While police were keen at the time to emphasize that this was merely the tip of the iceberg of their investigation, dubbed Operation Theseus, further arrests conducted at around the same time—including that of Hasina Patel, ringleader Mohammed Siddique Khan’s wife, and other family members accused of failing to alert the authorities—did not lead to convictions (Daily Mail, July 27, 2007). The three men have all been charged with “maliciously conspiring” with the 7/7 bombers to cause explosions on the “Transport for London system and/or tourist attractions in London” (Metropolitan Police Service, April 5, 2007). The question of one of them being the fifth bomber has not been raised in the trial; instead the three are accused of working closely with Mohammed Siddique Khan and others to reconnoiter targets in the London and helping provide material support to the bombers. As prosecutor Neil Flewitt put it, while the defendants were not “directly involved in the London bombings,” they “shared the beliefs and objectives of the London bombers” (BBC, April 10). 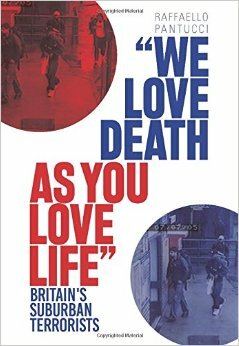 The key accusation against the three men is that seven months before the 7/7 attacks, they went from Leeds to London with Hasib Hussain, one of the bombers, who later detonated his bomb on a bus in Tavistock Square in London, killing himself and 13 others. On this alleged trip, they visited a number of prominent London attractions, including the London Eye (Millennium Wheel), the Natural History Museum and the London Aquarium. According to the prosecution, the three “conducted a reconnaissance of potential targets” which “bore a striking similarity” to the final targets (BBC, April 10; The Times, April 11). The men deny these charges and claim their visits were merely social. The connections between the men on trial and the attackers have been charted in greater depth than this single encounter. It has been alleged that Mohammed Shakil took part in a terror training camp in July 2003 with ringleader Mohammed Siddique Khan. Both were also present in Pakistan for unknown reasons for a month in 2001 (BBC, April 10; The Times, April 11). Furthermore, all three of their phone numbers were found on one or another of the bombers’ phones, and a text message from Waheed Ali on the phone of Mohammed Siddique Khan from December 7, 2003, read: “Gates of memories I will neva (sic) close. How much I will miss you no one knows. Tears in my eyes will wipe away but the love in my heart for you will always stay” (Guardian, April 10). One of the most interesting aspects of this trial is the amount of information that has been revealed about the mechanics of the 7/7 plot. While previous investigations have shown the public the movements of the plotters on the day of the attack, this trial has opened up the background of the group and shown footage of the team reconnoitering the London underground system, more footage of the explosions and, most chillingly, a video of Mohammed Siddique Khan saying farewell to his baby daughter, in which he says that he “just so much wanted to be with [her] but I have to do this thing for our future and it will be for the best, inshallah, in the long run. That’s the most important thing” (The Times, April 26). The court has also seen evidence from the flat that was allegedly used as a bomb-making factory by the team. It was here that containers of black pepper and hydrogen peroxide were forged into bombs together with HTMD high explosives (BBC, May 2), and where DNA and fingerprint evidence allegedly link the three accused men to the 7/7 plotters (The Times, April 15). More information has also been forthcoming about Mohammed Siddique Khan, the nursery school mentor and social worker who led the plot, who was apparently “very approachable” and whose personality made him into something of a local celebrity amongst Muslim youths (BBC, May 8). Such alarmingly normal pieces of trivia are becoming the most intriguing aspect of this ongoing trial, helping flesh out further the character of these distinctly British boys who chose such violent means to express their rage against the society they were born into. The trial is also an interesting test for the British Crown Prosecution Service, to see whether an intelligence-led operation can culminate in a conviction for the 7/7 attacks. Previous prominent failures include the aforementioned attempt to prosecute Mohammed Siddique Khan’s wife and the infamous Forest Gate incident, when armed police stormed a house seeking chemical devices and shot Mohammed Abdulkahar, but then failed to prosecute the inhabitants of the house (BBC, June 13, 2006). What Does the EU Want from Russia?